This CD has been on the market for some time now, but better late than never … The Finns Thaurorod had already impressed me on stage, and therefore it comes not as a surprise that their new release provides high class ear candy. 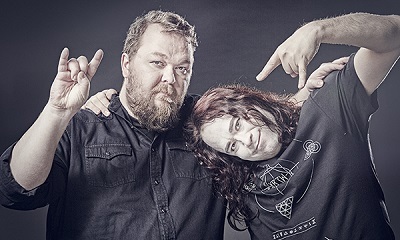 First of all, there’s the great song writing – well the trio of founders Pasi Tanskanen, Joonas Pykälä-aho and Emil Pohjalainen has stuck together through thick and thin for 15 years. With their congenial partners-in-crime Harri Koskela on keys and front man Andi Kravljaca we get the second reason – Andi has this great appealing voice, no screeching like a banshee even when it goes up high, and with some rough Rock “dirt”. His timbre reminds me a bit of Marco Hietala’s who is also a big favourite of mine. The third long player of this band Coast of Gold provides a good variety of material between more aggressive high speed attacks and epic tracks, e.g. 24601 (clip below) and Cannibal Island. The beautiful ballad Halla rounds up the album and presents the band at their best. And a song like Into The Flood has hit qualities anyway. 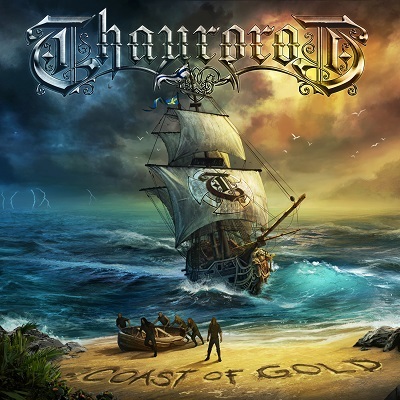 In case you have never heard of Thaurorod before, they have always been compared with Sonata Arctica and Dragonforce, and those speed parts remind me a bit of Helloween, the instant-singalong-choruses a bit of Sabaton and the epic songs of Nightwish. Which means this is an album not to miss, especially when you are a fan of all the bands mentioned or of Symphonic Power Metal in general.